Rowena Seto has many years of litigation experience, and has handled numerous cases at both the state and federal court levels. She was previously a partner at one of the largest defense firms in the nation, where she practiced for over a decade. In that capacity, she successfully defended myriad cases on behalf of defendants, including individuals, corporations and insurance companies. 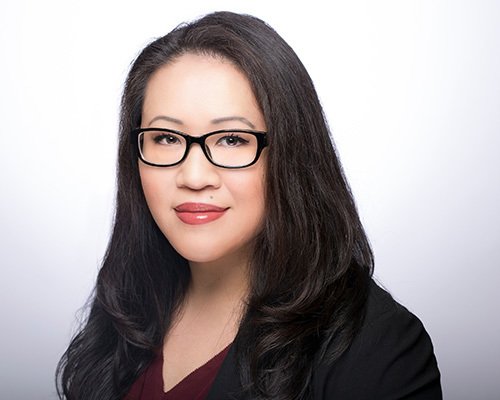 Ms. Seto previously practiced at two other defense firms in California, as well as at a nonprofit legal aid organization where she represented low-income California residents and fought to prevent unlawful evictions and foreclosures on their behalf. She also represented victims of domestic and sexual violence under the Violence Against Women Act. Ms. Seto has successfully litigated commercial disputes, personal injury and wrongful death lawsuits, insurance bad faith litigation and environmental/toxic tort lawsuits. She has also fought for, negotiated and obtained favorable settlements for numerous clients. Ms. Seto has also represented several businesses as their general counsel for years, guiding them through a variety of issues that undoubtedly arise in most businesses, such as personnel/employee issues, contract interpretation, enforcement of contractual terms, debt collection and disputes that arise with other businesses. In her representation of insurance companies, Ms. Seto successfully handled many insurance coverage disputes and insurance bad faith cases on their behalf. She is pleased to now be representing insureds. With her years of success and experience on the defense side and in representing defendants and insurance companies in lawsuits, Ms. Seto gained extensive insight on the inner workings of insurance companies, defendants and defense counsel. She brings that unique perspective and invaluable expertise to her practice now representing plaintiffs. Ms. Seto is proficient in Cantonese.